Here's some news for those who still somehow believe the political left in Washington cares about the People. After U.S. Senator Rand Paul introduced an amendment that would have ended armed FDA raids on raw milk farmers (http://www.naturalnews.com/035966_Rand_Paul_FDA_censorship.html) and legalized free speech about the curative properties of medicinal herbs, nutritional supplements and superfoods, are you curious how many Democrats voted in favor of this? Big fat zero, to be exact. Not a single Democrat in the United States Senate believes in fundamental food freedom, farm freedom or the principles of liberty. Every single Democrat in the Senate is a Big Brother sellout who supports the FDA having more guns pointed in the faces of raw milk farmers, arresting them and throwing them in prison, criminalizing real food and destroying America's small family farms. Every single Democrat in the U.S. Senate believes that telling the truth about the beneficial effects of Chinese Medicine, or medicinal herbs, or nutritional supplements should be a crime that can also get you raided, shut down and imprisoned by the FDA. There is not a single Democrat who sees anything wrong with the government sending herbal product formulators to prison. There is not a single Democrat who believes that an Amish farmer has the right to milk a cow and sell that milk to their neighbor without being threatened by the government. This is an astonishing milestone in U.S. history. 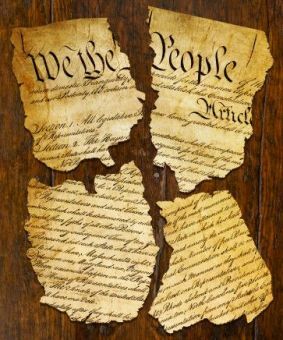 When those in Washington who pretend to represent the People openly and publicly vote to crush the very liberties and freedoms they claim to protect, you no longer have a real Democracy. You have a police state. All the above Senators -- who just happen to be Republicans -- deserve your thanks, by the way. Call their offices and tell them how much you appreciate them standing up for fundamental food freedom and farm freedom, even if you don't agree with their positions on everything else. The really astonishing point in all this is that out of 100 US Senators, only 15 voted to stop FDA tyranny against farmers. Just a generation ago, this vote would have been 99 in favor and 1 opposed. But today, with the rise of the corrupt, criminal government police state, 85% of U.S. Senators have joined the criminal gang and only seek to expand the power of that criminality. This is a sobering realization about where our country is headed and just how little time we all have left to restore liberty before the whole thing collapses into a total police state takeover with our government murdering millions. There is no more dangerous entity in the history of the world than a power-hungry government. Inevitably, all such governments quickly turn evil and destructive, often ending in the mass death of tens of millions of innocents. The ghosts of Hitler, Stalin, Mao and other regimes now echo throughout the chambers of the U.S. Senate and House of Representatives. With each new vote -- the Patriot Act, NDAA, Food Safety Modernization Act, etc. -- our own representatives thrust us one step closer to a totalitarian dictatorship. Step by step, day by day, a future of mass government death and destruction where the People are stripped of all freedoms inches every closer. This must be stopped. America is worth saving from its enemies, even if those enemies exist within the highest ranks of the legislative branch itself. It is the duty of every American to take all (non-violent) steps necessary to remove traitors from office and demand loyalty to the U.S. Constitution and its Bill of Rights, or we will soon find ourselves conquered, enslaved, medicated and malnourished, force-fed GMOs and vaccinated at gunpoint by a tyrannical medical police state that answers only to its corporate masters. Stand your ground, friends. Stand for liberty. Without liberty, there is no future worth fighting for, and as things exist in the U.S. Senate today, there is not a single Democrat who believes in liberty at all (and few Republicans who do either). I say Rand Paul for President 2016.